Earlier this year, Portico Benefit Services held a discussion with the bishops around the challenges facing the ELCA Medicare-Primary health benefits and the church’s decision to help subsidize the cost of medical care for our retired plan members. 1. Portico has selected Humana to insure hospital and medical benefits as a group Medicare Advantage plan. This new benefit will replace today’s Medicare supplement administered by Mercer. 2. The ELCA Church Council approved changing the calculation of the health subsidy. With this change, the subsidy will become a fixed dollar amount that is expected to increase 3% annually, as approved by the council. These two actions are expected to actually reduce the amount most members will pay in monthly contributions, or premiums, for their coverage in 2019, while allowing the church to continue its commitment to care for those who have served so faithfully. Portico began sending out materials last month to members. To help reduce confusion and ensure a smooth transition, we will be looking for opportunities to connect with groups of retired plan members this fall to help you understand what these changes mean. Thank you for your partnership. This process involved plenty of discernment and collaboration between Portico and the ELCA. We are proud of our joint efforts and remain committed to serving all of our members with grace and excellence. The Synod Financial Services (SFS) pilot ended on January 31, 2018. Their website is no longer available, as of June 30. The post office box for any physical mail sent to Chicago has been closed; any mail received going forward will be returned, per USPS regulations. Please use the Congregational Remittance Form on our website and submit all past and current remittances directly to the Synod office. You may also access a printable form here. Join Bishop Erik Gronberg and King of Glory, Dallas, as we host our ELCA Missionary to Jerusalem for a short presentation, Q & A, and meet & greet on Saturday, August 18, 2-4pm. Bishop Ibrahim Azar of the Evangelical Lutheran Church in Jordan and the Holy Land (ELCJHL). The two and one-half day “Undoing Racism” workshop presented by the People’s Institute for Survival and Beyond will be offered Tuesday, August 28, through Thursday, August 30. Sessions for the first two days begin at 9:00 a.m. and end late afternoon. The Thursday session begins at 9:00 a.m. and ends at noon. The workshop is worth approximately 16 hours of continuing education units. The Public Witness team is making this opportunity available free of charge to those in our churches who would like to attend but find the $350.00 tuition prohibitive. The team asks those who have adequate resources to make a contribution with the possibility of not only paying for oneself but also helping to defray the costs for someone else. Undoing Racism® is the signature workshop of the Peoples’ Institute for Survival and Beyond. Through dialogue, reflection, role-playing, strategic planning, and presentations, this intensive process challenges participants to analyze the structures of power and privilege that hinder social equity and prepares them to be effective organizers for justice. The multiracial team of organizers/trainers includes more than 100 men and women whose anti-racist organizing expertise includes years with civil, labor and welfare rights struggles, educational, foster care, social service, and health reform movements, as well as youth and grassroots community organizing. Click here to download a flyer with full details. Questions may be directed to chuck.hubbard@yahoo.com. Brite Divinity School will offer Boundary Training: Healthy Relationships in Ministry on September 17 from 9:00 to 4:00. This training will cover such things as: discerning the importance of healthy boundaries for building community; identifying behavior in self and others that can potentially compromise healthy relationships; developing professional ethics that sustain ministry; examining the dynamics in communities where clergy misconduct has occurred; and creating strategies for maintaining healthy relationships with self, others, and God. This workshop is intended to meet boundary training criteria for ministerial standing. The workshop will be led by Rev. Dr. Joretta Marshall, Executive Vice President and Dean and Professor of Pastoral Theology and Care, and Rev. Dr. Timothy Robinson, Alberta H. and Harold L. Lunger Associate Professor of Spiritual Disciplines and Resources, at Brite. Registration is $20 for the day and does not include lunch. For more information, call 817.257.7582 or email e.theilig@tcu.edu. The Board of ALOA (Adult Lutherans Organized for Action) is pleased to announce the hiring of Mr. Mark Schoepp as its Executive Director as of July 1, 2018. Mark’s personal objective is to “encourage and equip people to live healthy and whole lives, to be faithful stewards…..in Christ’s service”. Mark resides and will work from the Chicago area. The home office for ALOA will remain in Clearwater, FL. 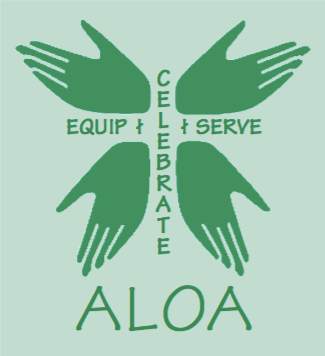 You may contact Mark at mark@aloaserves.org or 530-551-5055. Read the full anouncement with Mark’s experience here. ALOA is grateful to all who have participated in the Lutze Visionary Leadership Campaign. 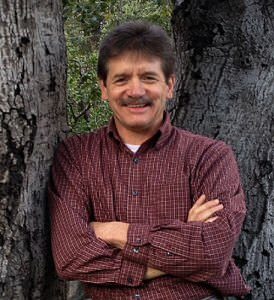 Your generous donations and prayers made the hiring of Mark Schoepp possible. Saint Matthew’s, Fort Worth, has an opening for a part-time Director of Music Ministries. Saint Matthew’s appreciates full liturgical worship with emphasis on attention to scriptural text and high standards of musical excellence. Requirements include a minimum of a bachelor’s degree in music, with an emphasis in choral conducting. Click here for a full job description and how to apply. Saturday, August 25, 3pm – Donald Strickland, called to serve Grace, Fort Worth, will be ordained at Trinity, Fort Worth. Sunday, August 26, 3pm – Miles Holder, called to serve New Hope, Keller, will be ordained at Grace, Carrollton.